What makes a business debit card with the chip different from a business debit card without the chip? EMV chip cards are credit or debit cards that have debit card chips instead of using information encoded in magnetic stripes. The cards stand for Europay, Mastercard, and Visa after the three major companies that came up with the technology. EMV chip cards are much more secure than old-style debit and credit cards because the chips do not contain information that is static. An estimated 855 million chip cards had been issued in the U.S. as of Aug. 2017. Among credit cards, 85 percent had EMV chips by that date, and debit card chips were catching up with 60 percent of the cards containing the chips at the end of July 2017. Why use a debit card with the chip vs. a debit card without the chip? Using a business card with a debit card chip gives businesses greater security than using cards that do not have the chip. The chip is a computer chip that communicates with special terminals. Each transaction generates a unique transaction code. If a thief steals the code to use in a cloned card, it will not work. The information in the magnetic stripes of cards that do not have the chip remains the same and contains data such as the account number and CVV code. When this information is stolen such as by using a card skimmer, new cards can be generated, allowing thieves to steal funds from your accounts. Who could benefit the most from using a prepaid debit card with a chip? A prepaid debit card with a chip may be especially beneficial for small businesses. Business owners can decide how much money to place on a card and give it to an employee to purchase what the company needs. The employee will not be able to access the account of the company because the business owner loads money onto the card from the account rather than the card being linked directly to the money contained in it. The EMV chip in the prepaid card will also prevent others from being able to steal usable card data that they could use to create counterfeit cards. These anti-fraud measures can help to provide greater protection for businesses. Do business debit cards with the chip have additional anti-fraud measures? Some business cards with the debit card chips have additional anti-fraud measures that make them even more secure. For example, the Bento for Business Visa debit card is an EMV chip card that also uses 256-bit SSL encryption technology from Digicert. This is the same high level of protection that banks use to keep your sensitive financial information safe. In addition, funds that are held by Bento for Business are insured by the FDIC up to at least $250,000 through The Bancorp Bank; Member FDIC. 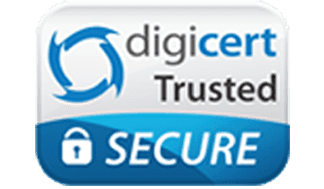 This allows you to have added peace of mind that your business’s money will be protected. Finally, the cards are branded as Visas so that they come with the features that Visa offers, including zero liability for business, purchase security and extended protection, and lost or stolen card reporting. How common are business debit cards with the chip? An increasing number of business debit cards are being issued with EMV chips. From 2015 to 2016, transactions with cards containing debit card chips increased by 650 percent. With the increase in debit chip cards, fraud losses fell by 28 percent from 2015 to 2016. By June 2017, approximately half of all merchants in the U.S. were accepting debit chip cards. As the number of merchants that accept the cards with debit card chips increase, the number of business debit cards that have EMV chips will likely increase as well. A business debit card with an EMV chip differs in a few ways from a prepaid debit card with an EMV chip. Many prepaid cards are co-branded with specific retailers and can only be used at those venues. Chipped debit cards may be branded as Visa, Mastercard, Discover, or American Express, allowing them to be used nearly anywhere. Prepaid chip cards are also not directly attached to a business’s bank account. Instead, the business owners choose how much money to load onto the cards. The amounts that are available on prepaid cards are whatever amounts have been loaded onto them. Expense management is how companies track expenses and control the spending at their businesses. It is important for businesses to inform their employees about the types of expenses that are allowed and those that are not. 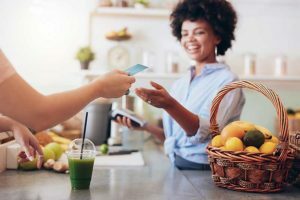 Many companies use expense management policies to inform their employees about the types of purchases that are authorized as well as how unauthorized purchases might be dealt with. This can help to prevent employees from misusing their employer’s money while also helping to keep the expenses under control. How can expense management help my company? Expense management can help to prevent fraud. Some employees turn in expense reports that are inflated or fraudulent. If you have a good expense management system that is automated in place, it can help you to identify inflated or fraudulent expense requests so that you can handle them appropriately. Expense management can also help you to see the spending trends at your company so that you can make budget adjustments when they are needed. 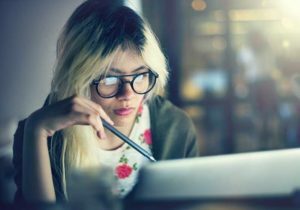 Expense management best practices should include writing a clear expense policy, automating as much of the tracking and data entry as possible to reduce errors, and using cashless payment processes such as debit cards. Using business debit cards with EMV chips can help your expense management in several ways. The cards from Bento for Business allow you to limit when your employees are able to use their cards, how much they are able to spend, and where they are able to make purchases. With the cards, you can get rid of reimbursement processes at your company. You can give Sheila, your office manager, a card that allows her to make purchases at Office Depot for office supplies. If she tries to use her card at a restaurant to buy lunch, the purchase will be denied, and you will receive a notification. 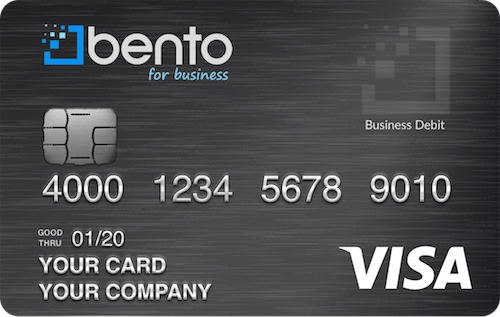 Bento for Business offers business debit cards that have robust expense management features. The cards provide you with extensive controls over the spending that happens at your company. You are able to decide how much money to fund each card with and can limit each employee’s spending by the day or week. You can also limit the cards to be used at specific merchants or vendors. You can try the cards at your business during a free 60-day trial or call 866.220.8455 to learn more.